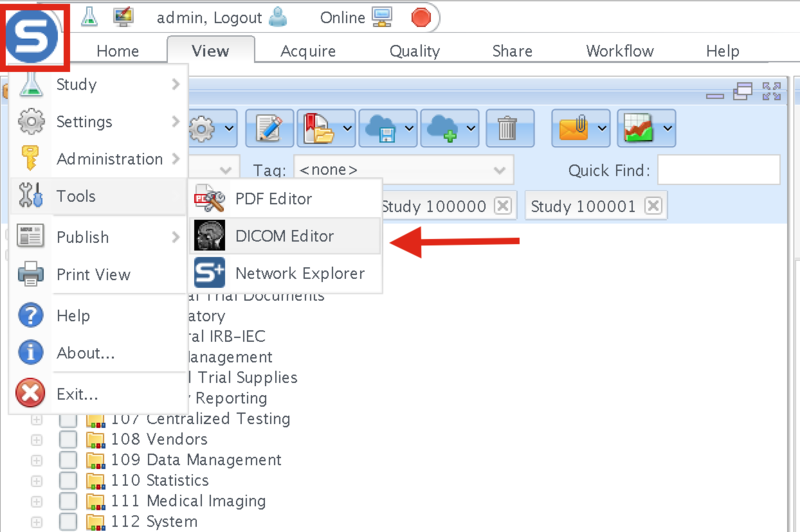 Navigate to the DICOM editor by clicking the S-Button > Tools > DICOM Editor. 2 You can select the DICOM DIR file from your local drive or via URL (File System and URL tab). DICOM Series is uploaded as separate DICOM images. 3 Once you select the directory a notification message is displayed that you will view a collection of DICOM images and the operation might take some time. Click Yes and the collection will be displayed in the DICOM Directory File Viewer. 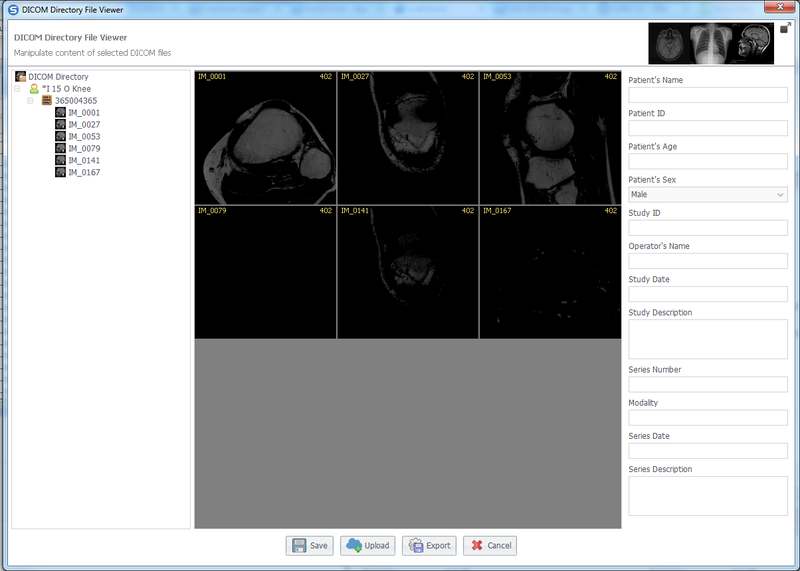 4 The DICOM series is displayed where you can select DICOM images, modify their metadata details then click Save. 5 You can start the Upload Medical Images wizard by clicking on Upload or export the series of images to a PDF file (each DICOM image in a separate page) by clicking Export and selecting a location on your machine.